Since the country’s first Fathers’ Day in 1910, the day has become an annual celebration honoring the fathers in our lives. For dads, it is a day of relaxation, enjoying his favorite hobbies, or at the very least an escape from the routine pressures and obligations of life. There are many ways in which you can honor your dad and celebrate this holiday, like sending him Fathers’ Day flowers from Avas Flowers. We are an online florist that works in collaboration with a nationwide network of local florists to provide same-day or next-day delivery of not only floral arrangements and bouquets but also gift baskets that dads will surely cherish. 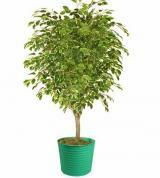 In addition, while our prices are cheap, our quality is anything but. When you buy from Avas Flowers, you are getting the best flowers and products that are fresh and expertly arranged by professional florists. While you are shopping for Fathers’ Day flowers at Avas Flowers, you’ll be pleased with the selection that you will find here on our site. 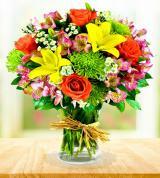 The arrangements for this special day are made using flowers and colors that have a masculine appeal. 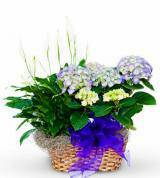 The right flower arrangement is a gift that expresses just how much he means to you, whether it’s a Fathers’ Day gift for one’s dad, uncle, grandfather, or some other father figure. He’ll be so impressed and moved by the sentiment and the gift that he’ll want to place it in his office, game room, or any area where he can appreciate it the most. 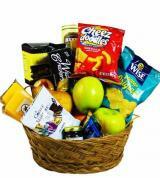 Gift baskets are also a big hit for dads, particularly dads who might not fully appreciate the gift of flowers. 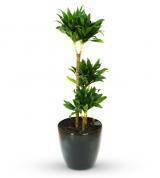 For example, Avas Flowers also sells Fathers’ Day gift baskets that appeal to almost every dad. To find the right basket for your dad, browse through our selection of fruit and gourmet baskets and other special gift baskets filled with items that are available specifically for Fathers’ Day. 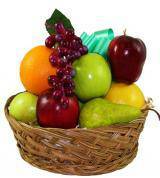 The items that fill each basket will vary depending on the season and the availability of items. 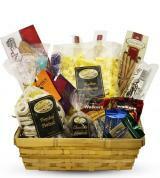 Fathers’ Day gift baskets in themed baskets, tins, or other types of containers may also be available for purchase. If you have any questions, feel free to use our online form to get in touch with us. You can also contact our customer service team 24 hours a day, every day of the week by using our toll-free phone number. Please note that while we offer same-day delivery for orders that are placed by noon, some products will require a day or more to prepare for delivery. After placing your order, you can always check its status right here on our website. Please take a moment to check our site’s FAQ page for more details regarding ordering or delivery. Don’t hesitate when it comes to showing Dad how much he means to you and the family. 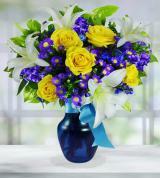 Pick out, order and send Fathers’ Day flowers or a gift basket today.